In chemistry we have learned about exothermic and endothermic reactions. But how it is applicable in our daily lives is not known to many. Firstly, an exothermic reaction is one in which heat is produced as one of the end products.Â Examples of exothermic reactions from our daily life are combustion like the burning of a candle, wood, and neutralization reactions. In an endothermic reaction, the opposite happens. In this reaction, heat is absorbed. Or more exactly, heat is required to complete the reaction. Photosynthesis in plants is a chemical endothermic reaction. In this process, the chloroplasts in the leaves absorb the sunlight. Without sunlight or some other similar source of energy, this reaction cannot be completed. In exothermic reactions the enthalpy change is always negative while in endothermic reactions the enthalpy change is always positive. 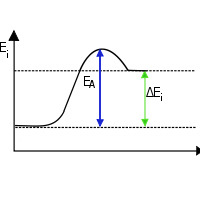 This is due to the releasing and absorption of heat energy in the reactions, respectively. The end products are stable in exothermic reactions. The end products of endothermic reactions are less stable. This is due to the weak bonds formed. ‘Endo’ means to absorb and so in endothermic reactions, the energy is absorbed from the external surrounding environment. So the surroundings lose energy and as a result the end product has higher energy level than the reactants. Due to this higher energy bonds, the product is less stable. And most of the endothermic reactions are not spontaneous. ‘Exo’ means to give off and so energy is liberated in exothermic reactions. As a result, the surroundings get heated up. And most exothermic reactions are spontaneous. When we light a matchstick, it is an exothermic reaction. In this reaction, when we strike the stick, stored energy is released as heat spontaneously. And the flame will have lower energy than the heat produced. The energy being released is previously stored in the matchstick and thus do not require any external energy for the reaction to occur. When ice melts, it will be due to the heat around. The surrounding environment will have a higher temperature than the ice and this heat energy is absorbed by the ice. The stability of the bonds is reduced and as a result and the ice melts into liquid. Find books on Amazon about Exothermic and Endothermic reactions. Manisha Kumar. 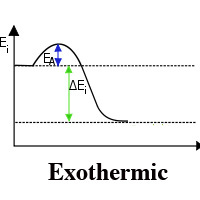 "Difference Between Exothermic and Endothermic." DifferenceBetween.net. September 18, 2009 < http://www.differencebetween.net/science/difference-between-exothermic-and-endothermic/ >. Thank you very much, my students will appreciate this helpful website. This page was a big help to me for the really awesome grade I needed! Thanks a lot for assisting me,I managed to do my assignment.